When we are troubled, it may be useful if we have a friend or relative to talk to. Talking to a friend enables us to vent and clear our thoughts. However, our friend may not always be there to listen to us and he/she may not know us well enough to give us proper advice. If we keep turning to our friends whenever we have problems, we will become dependent on them for solutions. We lose the power over ourselves. Pretty soon, our friends will start avoiding us because they feel dragged down by our negative emotions. The good news is that we can be our own therapist if we just follow some simple rules. Our mind has three faculties. One faculty is the part that complains and says things that incite negative emotions within us. The second faculty is wisdom. It listens patiently to the first faculty and says things that are peaceful. The problem is, the complaining faculty is the more talkative portion of our mind and this leaves very little room for our wisdom faculty to respond. The third faculty is silence. It is experienced when neither the first and second faculty is talking. We experience this faculty during meditation. This third faculty is not the subject of this article. So, how do we give more power to our wisdom faculty? We keep a spiritual diary and write down our thoughts. 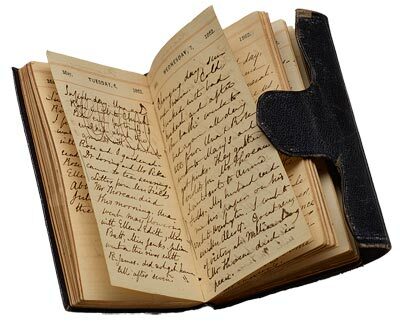 It is important to feel safe with the diary because we do not want to hide anything from it. We want to write down everything freely. Therefore, it is best to keep the diary locked up or better still, keep the diary in Word document and protect the document with a password. We start writing in the spiritual diary by allowing the first faculty to vent. Allow it to complain as much as it wants. However, when we start to write, we start to activate our left brain which is more rational. After a while, our wisdom faculty will start talking. You will know when the wisdom faculty starts talking because it will speak slowly and in a calm manner. Every word will bring peace to our hearts. The more we turn to our spiritual diary for guidance, the stronger our wisdom faculty becomes. It is a great friend to have because it is with us 24 hours a day. Our wisdom faculty knows everything about us and may even make us recall some experience we went through as a child in order to make us see a solution to our problems. We may not solve all our problems but at the very least, it puts all our problems in the proper perspective. Our spiritual diary should be the first friend we turn to whenever we face difficulties. The other day, I was talking to a friend who was suffering from a severe backache. He said that if he is given a choice between a 100 million dollars and the chance to be free from that backache, he would select the latter. This makes me think that sometimes we give more attention to our problems than we should. Our mind is very fragile and it troubles itself over minor issues. If we are healthy, have a roof over our head and have enough to eat, we have every reason to be happy. That is why we need to train our mind by keeping a spiritual diary. An untrained mind is the cause of unnecessary mental suffering. A trained mind is the cause for happiness and inner-peace.